If you’re struggling to get your products into more people’s hands due to the rising cost of advertising, you’re not alone. Here’s the good news. By tapping into the power of affiliate marketing to start an affiliate program for your ecommerce store, you can drive high-quality traffic and sales very affordably. An affiliate program is a customer acquisition tool merchants (like you) can create to generate more sales with the help of publishers (like bloggers and websites). When a new publisher is approved into your affiliate program, they become your affiliate and get unique tracking links that they will use whenever they share your products online. Every time someone clicks through to your website with their link and makes a purchase, you generate a sale and they earn a commission of that sale. As the program creator, you get to decide how much to pay affiliates and for what – such as a percentage per sale or a flat rate per lead. You also outline terms and conditions so they know what promotional methods they are allowed to use when marketing your brand to their audience. Why Start an Affiliate Program? Literally, anyone selling anything online can start an affiliate program, whether that’s physical products, digital goods or even services. The only requirement is that your stuff must be sold online through your website or on a platform that has affiliate tracking capabilities. Your Sales Will Increase: Quality affiliates send high-caliber traffic to your website, so your product sales will increase as a result. You Only Pay for Performance: Unlike advertising, which can be risky, affiliates only get paid after they’ve generated sales for you first. Existing Customers Already Want One: Customers already sharing your brand will be thrilled to hear they’ll now get rewarded for it, which will incentivize them to promote you even more! It Boosts Your Brand Awareness: With affiliates talking about you all over the internet, your brand awareness will increase, leading to non-affiliate sales as well. There are several misconceptions floating around when it comes to starting an affiliate program. Here’s a look at the most common ones I hear. 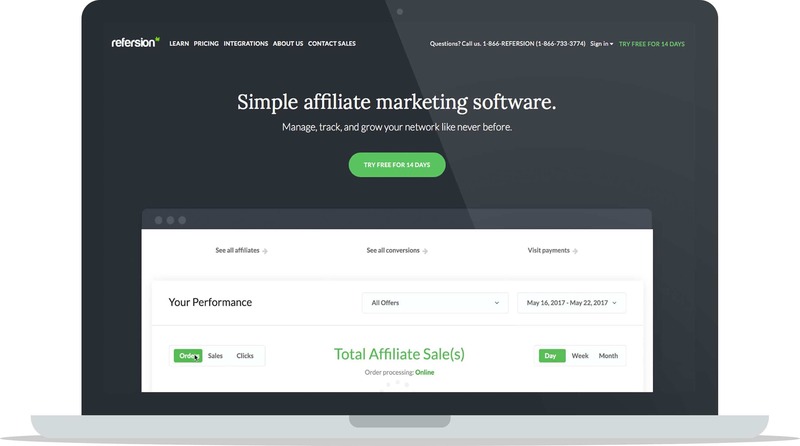 Even for the most tech-averse, the affiliate program setup process is fairly simple. Most ecommerce sites easily integrate with affiliate platforms, and some even have affiliate tracking capabilities baked right in so you can go live with the click of a button. For most merchants, setting up affiliate program tracking is relatively simple. You just add a piece of code (aka a tracking pixel) to your sales confirmation page and you’re good to go. Most affiliate platforms also offer step-by-step instructions or tech support to walk you through the implementation process. One exception is software products and apps, especially if you want to pay on the sale instead of a lead. However, if you’re part of this field, chances are you’ve got an awesome developer on staff or contract who can tackle implementation for you. In my experience, starting an affiliate program is the opposite of risky or expensive. It’s low-risk because you only pay affiliates after you get paid first (as long as you’re paying on sales) whereas with advertising and sponsorships you’re paying up front with no guarantee of results. It’s also one of the most affordable ways to acquire new customers compared to other high-cost marketing initiatives like pay per click advertising, podcast sponsorships, blogger giveaways, Facebook ads, and even content marketing. If your platform has affiliate tracking built-in, you can launch an affiliate program for $0 or as low as $10 per month if it doesn’t. The affiliate networks with a $2,000+ price tag aren’t your only option! Keep in mind, you should consult with a lawyer and/or educate yourself on Affiliate Nexus laws before launching to understand which affiliate States you can and cannot allow into your program. I once launched a scrappy affiliate program with E-Junkie that yielded thousands in sales within a week. I spent an hour on it, including the tech set up, inviting a few affiliates and paying out commissions at the end. The biggest affiliate program I’ve ever worked on had 10,000+ affiliates and multiple employees each working 40 hours per week to manage it. However, it started with 1 guy doing it part-time with a handful of affiliates. More resources were added only after it became profitable. The bottom line is you get to choose your own adventure when creating an affiliate program. Just be sure to complete an affiliate program competitive analysis before launching to develop a winning program structure affiliates will love. You have a lot of choices when it comes to affiliate tracking platforms. Today I’ll share 3 options I’ve found the easiest to get started with. Refersion is designed to help you quickly create and launch your own promotion network. They handle all the heavy lifting, allowing you to focus on growing your business through partnerships with bloggers, influencers, ambassadors, and promoters. Pricing Details: $29 per month (up to 30 affiliate orders) or $89 per month (up to 130 affiliate orders). For unlimited orders, you’ll need to contact Refersion for pricing. Refersion offers a free, 14-day trial so you can test it out before you commit to a monthly package. Thanks to their apps, Refersion can be integrated with a few clicks if your store is on Shopify or BigCommerce. The majority of customer reviews speak highly of the Refersion support team for offering exceptional customer support. I’m not a fan of their pricing tiers being based on the number of affiliate orders you get because when you go over your limit, you and your affiliates will not be able to see any new orders until you upgrade your account. Affiliates will not appreciate this, especially if they’re closely monitoring real-time information to optimize their active campaigns. Refersion doesn’t automatically pay your affiliates their commissions, so you’ll have to set aside time on your calendar every month to do this manually. Some users find their UI outdated and confusing to navigate. Getting Started: Refersion offers a free 14-day trial on both their Starter and Professional packages. Once signed up, you can use their Start Guide to get your affiliate program set up in a jiffy. Alternatively, you can use their Shopify App or BigCommerce App to get started. 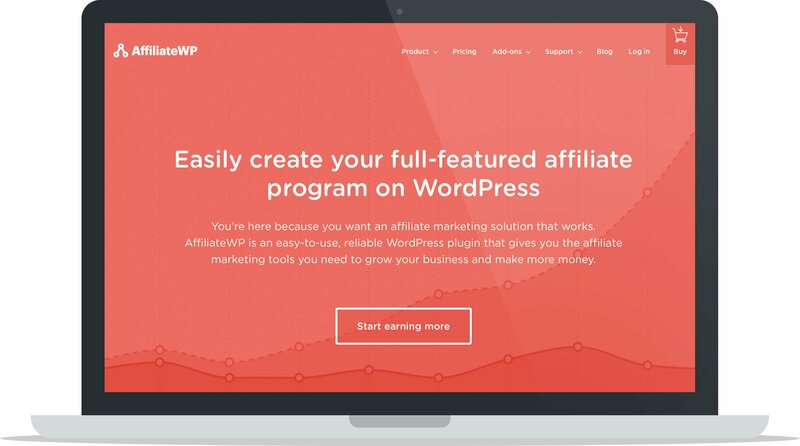 AffiliateWP allows you to easily create a full-featured affiliate program on WordPress. It’s known for being an easy-to-use, reliable WordPress plugin that gives you the affiliate marketing tools you need to grow your business and make more money. Merchants Using AffiliateWP: Paul Jarvis, Startup Camp, and Nomadic Matt. Pricing Details: $99 to $249 per year, depending on how many WordPress sites you want to run the plugin on and if you want their pro add-ons. You can also pay a one-time price of $499 for unlimited everything, lifetime access and all current and future add-ons. You can develop an affiliate program with all the bells and whistles (if you want!) thanks to their free and pro add-ons. These include things like coupon codes, tiered affiliate commissions, and affiliate landing pages. Their customer support team is considered world class and as someone who’s emailed them a ton, I can vouch for this. I recently got in touch with their support team about a bug and they issued a plugin update to fix it within a couple of days! Unlike large affiliate networks and smaller tracking platforms, AffiliateWP does not charge you for each individual affiliate transaction. You pay the one-time or yearly-fee and that’s it. AffiliateWP integrates with all of your favorite WordPress plugins, including Restrict Content Pro, WooCommerce, Easy Digital Downloads, Gravity Forms, and Zippy Courses. Every time an affiliate order comes in, you need to manually approve them before affiliates can see them in their dashboard. This is good for fraud, but time-intensive if you’re running a high volume program or launch. I’ve run into issues with tracking bugs where legitimate affiliate sales didn’t have reference IDs so they appeared invalid. On a similar note, as with all WordPress plugins, make sure you promptly update it as new releases come out. When you do this, you’ll also want to test tracking and key features to make sure everything is working correctly. If you opt for the personal or plus pricing package, you don’t get the pro add-ons. Non-US users aren’t able to pay their affiliates using Paypal’s mass payment feature, which speeds up the affiliate payout process. Getting Started: Go to AffiliateWP to sign up, then upload the plugin to your WordPress site. From there, use their in-depth Getting Started documentation to get your program set up. Should you run into any hiccups, their FAQ and Support sections are available to assist you. ShareASale is an affiliate marketing network that’s been around since 2000, serving both merchants and affiliates. ShareASale’s technology receives accolades for speed, efficiency, and accuracy – and their reputation as a fair and honest business is well known within the affiliate industry. Great For: Users on virtually any ecommerce platform, including software applications. Merchants Using ShareASale: ModCloth, Reebok, and FreshBooks. Pricing Details: $550 one-time setup fee plus $100 minimum deposit for affiliate commissions. I bet you’re wondering why a merchant would pay hundreds to launch their affiliate program when solutions like AffiliateWP and Refersion are much more affordable. There are some very compelling reasons, which I’ll outline below. Unlike AffiliateWP and Refersion, ShareASale serves both merchants and affiliates. That means there’s a built-in audience of affiliates across every niche in their network looking for new programs on a regular basis. All of the programs I’ve launched or managed on the network get organic applications almost daily from affiliates who find the program on their own. ShareASale has an incredible support team that offers both email and phone assistance. You can get more eyeballs on your program by advertising to affiliates in several prominent places inside ShareASale. ShareASale collects all tax forms from your affiliates and pays them out automatically every month. While affiliate fraud is a problem across every network and platform, in my experience ShareASale is the safest option out there. Whenever an issue comes up, they proactively contact the merchant to let them know what happened and how it’s being resolved. If you are on a budget, the startup fee can be a buzz kill. ShareASale also takes 20% fees on every affiliate transaction. For example, if your affiliate earns $4 per sale, ShareASale takes another 40 cents. However, compared to other pro networks like CJ and Linkshare, it’s the most affordable of the pro networks both in startup and transaction-based fees. Getting Started: Start by signing up as a merchant here. You aren’t obligated to pay the setup fee until you complete tracking implementation and testing so go ahead and get started. Upon logging in, you’ll see ShareASale’s helpful merchant setup wizard, which walks you through an 8-step launch process. Now that you know what an affiliate program is and how to create one, I’d like to share 3 tips to ensure your program gets off to a great start. When I chat with startups interested in launching a program, I tell them it’ll take months to see consistent results and more than a year to see significant sales. That’s because once your affiliate program is live, you’ll need to recruit and activate new affiliates before the sales pour in and there’s no way to rush that process. In addition to being an affiliate manager, I’m also a content affiliate that’s been fortunate enough to work with wonderful affiliate managers who truly care about their affiliates. I’ve also dealt with my fair share of affiliate managers who didn’t understand how to treat affiliates. For example, once I received a newsletter from a merchant that threatened to remove affiliates from their program if they didn’t send a sale by the end of the month. Another time, a merchant refused to let affiliates promote a cool resource they offered, even though other types of partners were allowed to share it. Here’s the thing: affiliates are independent people or organizations who work at their own pace and don’t owe you anything. You’re there to answer questions, offer tips and troubleshoot problems. Basically, it’s your job to help them succeed, not enforce rules or deny resources that will discourage and demotivate them. Build strong relationships with your affiliates and affiliate sales will follow. Affiliate Activator: This is my monthly newsletter chock full of affiliate program management tips and links to must-read industry articles for product marketers, ecommerce entrepreneurs and affiliate managers looking to grow their affiliate program. 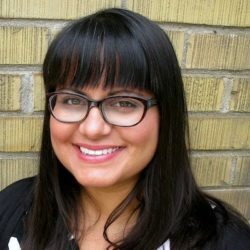 SugarRae: Rae Hoffman is my AM hero and her affiliate marketing blog offers tons of in-depth articles on the subject. Geno Prussakov: Geno literally wrote the book on Affiliate Program Management and shares useful tips for merchants on his site regularly. 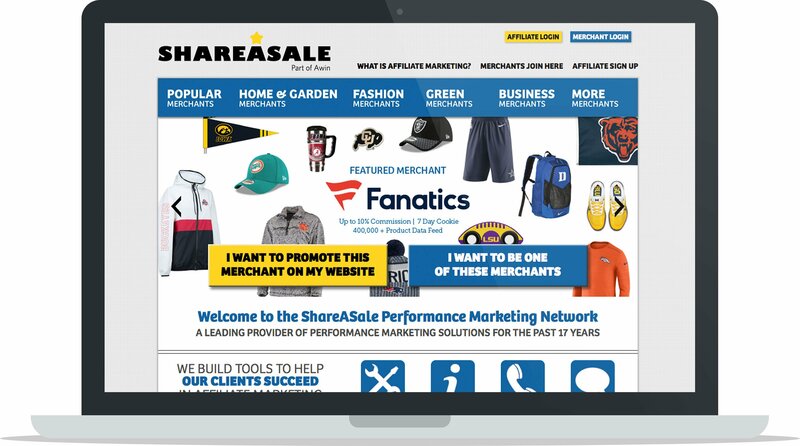 ShareASale: My favorite pro network publishes an impressive number of affiliate marketing articles every month for both affiliates and merchants. Starting an affiliate program is an affordable and low-risk way to grow your product sales. Just remember you’ll need to invest time in the early days to develop a winning program structure, set up your affiliate platform and source affiliates for your program. Once the program is generating 5-10%+ of your overall product sales, you can hire help or retain an affiliate agency to manage the day-to-day of the program for you. Justine Grey empowers eCommerce entrepreneurs and content creators to grow their revenue with affiliate marketing. Join her AffiliateAce community today for doable affiliate experiments and action tips every week. Hey Tariehk – I’ve heard great things about OSI Affiliate. I wish I could have included more platforms but I didn’t want to overwhelm readers or make the post like 10,000 words haha. I appreciate you letting readers know about your software. Nice article, Using affiliate programs to market your products is also a little intimidating at first because there are some mandatory steps you need to take before you can take part in it. According to 2016 research from Business Insider, affiliate marketing is responsible for driving up to 16% of all U.S. ecommerce sales. You can be an affiliate – promoting other people’s products on a commission basis. You can be the product owner – earning money because of the sales that other affiliates have generated. Affiliates can promote your products in exchange for a commission if they generate sales. You provide the marketing materials. You take care of the payment processing. You take care of paying your affiliates. 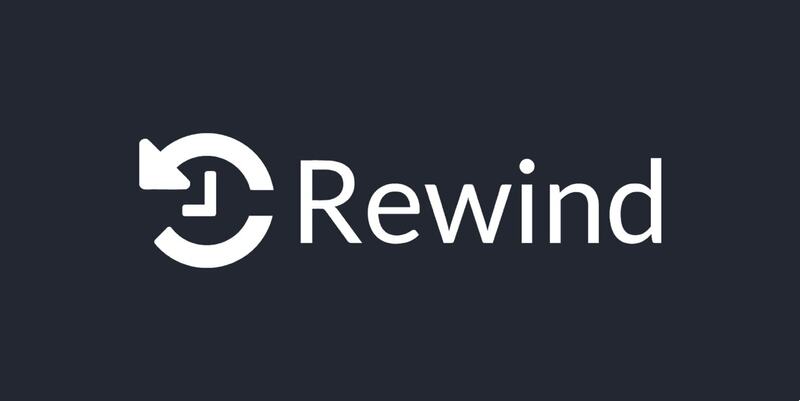 You spend hours perfecting your online business, make sure you never lose it by using Rewind's powerful backup software.